So you’ve heard the term “blog hosting”, and you want to know the most recommended blog hosting companies out there. You’ve come to the right place. 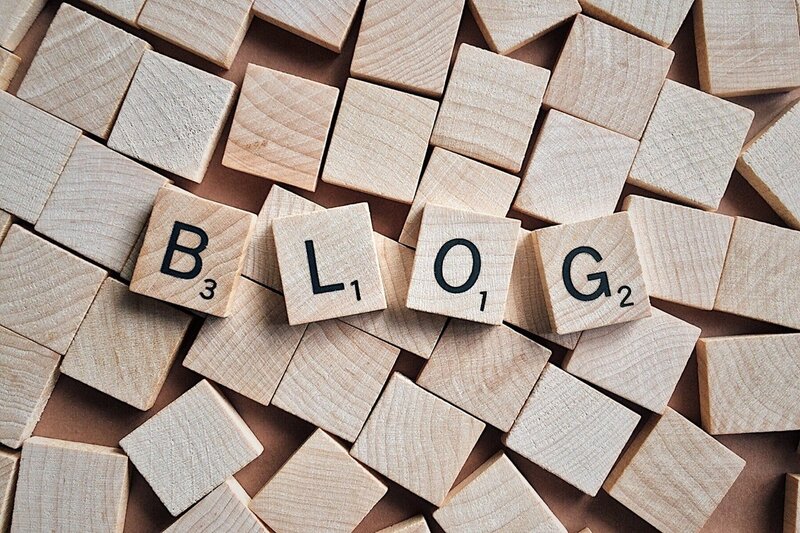 In this series of articles, we will explore blog hosting and everything you need to start your blog. A blog (shortening of “weblog”) is an online newspaper or informative website that displays information in reverse chronological order, with the latest publications that appear first. It is a platform where a writer or even a group of writers share their views on an individual topic. Blog Hosting is simply the place where your blog lives online. Using an analogy of Andy Traub, blog hosting is the land and your domain is the address of your home. There are Free and Paid Hosting. Let’s see the differences between free and paid blog hosting. 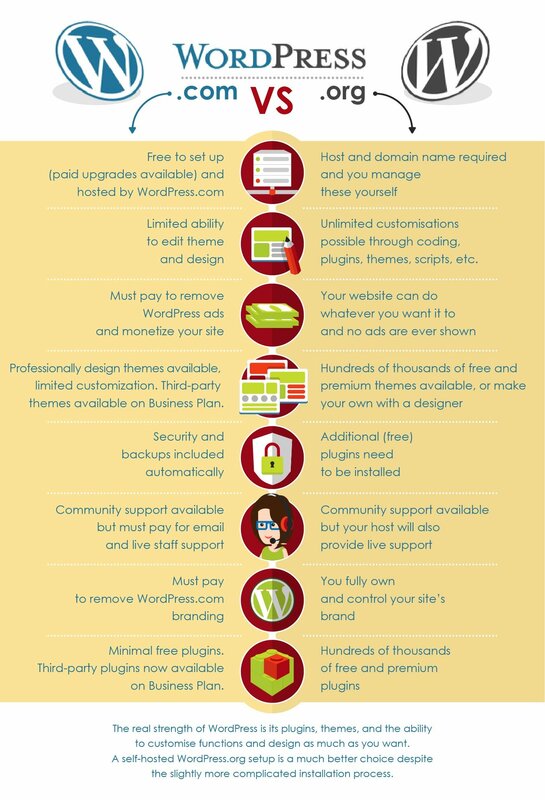 Below is a quick infographic showing basic differences between WordPress.com (free) and WordPress.org (paid). With paid blog hosting (self-hosted blog) the blog resides on a unique server maintained by a third party like Siteground (which I recommend). Other popular companies that offer this kind of hosting services are HostGator, iPage, and Bluehost. They rent out digital storage space to users to enable the execution of a website. 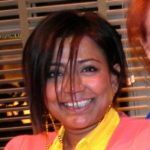 REASONS WHY I SHOULD CHOOSE PAID BLOG HOSTING OVER FREE HOSTING? Paid blog hosting gives you access to platforms with more advanced features. This allows you to customize the look and functionality of your blog. This is a must if you are trying to make money with your blog. Free blog hosting, on the other hand, gives you very limited options for customization. 2. No Ads on your site. The worst thing about some free blog hosting options are the distracting ads that show up on your site. That’s how free blog hosting companies earn revenue, but these ads can be disruptive and may cause you to lose customers or visitors. 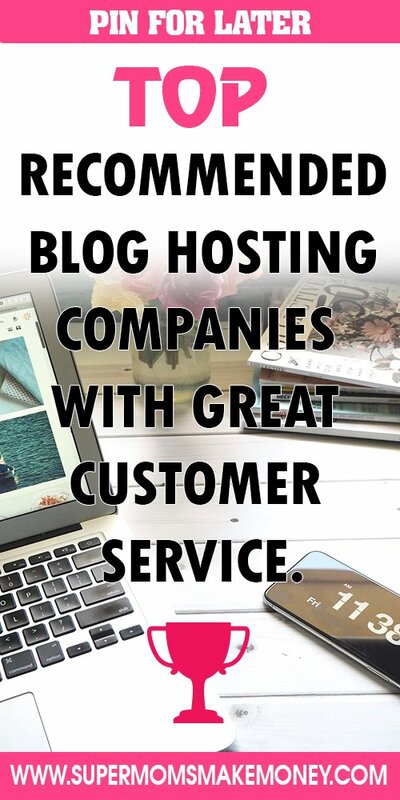 The truth is you’re indirectly paying for hosting by allowing free blog hosting companies generate revenue from display advertisement on your website. Some people assume paid blog hosting is expensive, but this is untrue. There are cheap and affordable blog hosting packages from renowned web hosting companies. You will not have to worry about having enough web space and speed if you use one of the recommended blog hosting companies. Paid hosting will give you more options, resources, and tools and the cost is minimal. With free hosting, you only get a sub-domain which limits your SEO. Good on-site SEO affords you a better chance of higher search ranking for your chosen keywords which you, unfortunately, won’t get with Free Hosting. With paid hosting, on the other hand, you get SEO benefits like increased traffic, higher conversions and monthly revenue. Most free hosting options do not allow the use of your own domain, and of course, many bloggers will like to use their own custom dot com (or whatever) domain. 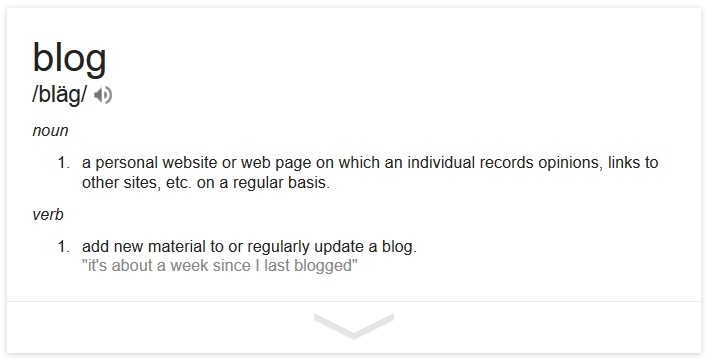 This not only gives you full ownership of the blogs but also helps you get higher search rankings. WHAT DO I NEED TO KNOW BEFORE CHOOSING A BLOG HOSTING SERVICE? There is little chance that a blog will be a success without a solid blog hosting provider. So you should give the question of choosing a blog hosting provider serious thought. 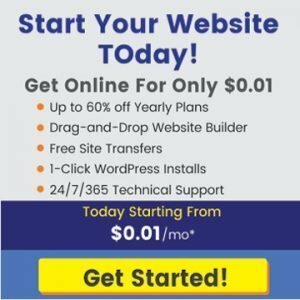 When starting out, many bloggers opt for free hosted WordPress.Com blogs on slow servers and realize what a big mistake it is they’ve made as they grow. Learning how to choose the right host for a blog is important. You can do this by examining the bandwidth and disk space they offer, especially if you are looking to host a blog with several pages and graphics and if you anticipate sudden traffic growth. There are unlimited plans that will not compromise the functions of your blog, but they are not exactly cost-friendly for beginners. For Uptime, aim for rates between 98 and 99%. A good blog hosting company must also be secure and offer data encryption mechanisms such as user authentication, firewalls, and more including excellent customer service. A good web hosting provider should be able to alert you when someone tries to violate your data or perform any suspicious activity. I have narrowed this list down to the best three blog hosting companies out there, i.e. HostGator, SiteGround, and Bluehost. Perhaps your blogger friends have recommended SiteGround to you lately. SiteGround was founded in 2004, and it provides different types of web hosting, i.e. shared hosting, cloud hosting, dedicated hosting, reseller hosting and enterprise hosting. SiteGround.com is officially recommended by WordPress.org itself, and has BBB Rating of “A”. and currently hosts over 800,000 websites worldwide. Looking at the StartUp plan (which brings together all the necessary functionalities for medium-sized business sites and personal blogs) it is clear that SiteGround is open to all. The plan will do it even for small retailers, assuming they do not have a long list of products to offer. Now that we’ve seen what HostGator and SiteGround have to offer how about Bluehost? Bluehost is an inexpensive option but will surprise you with its functionalities like free shared SSL and anti-spam filters. Also, Bluehost is one of the few providers that allows you create your own custom list of features, to begin with. Bluehost is owned by Endurance International Group, which is the same parent company as HostGator. In other words, both Bluehost and HostGator are under the same holding company. Set up blank (WordPress) website. Tried out their customer support. Monitored their uptime and speed (since Dec 2017). Read user’s reviews (and still accepting user reviews). WHAT ABOUT THEIR CUSTOMER SERVICE SHOULD I ENCOUNTER PROBLEMS? One of the main complaints that people have against Bluehost and HostGator is that they cannot seem to communicate with the support team. Personally, the support team at Bluehost has helped me a lot when I had technical problems. SiteGround does not seem to have that problem for now, at least not that I know of. Based on experience, I’ll recommend SiteGround as the best hosting provider. However, Bluehost has worked fine for me before switching to SiteGround. General advice from me to you is when you finally create your blog, always do a backup of your blog on a separate server. This is because once a shared hosting is hacked, all the blogs under that shared hosting will be compromised.